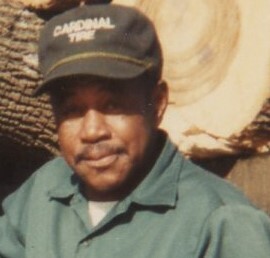 Mr. Leroy Benjamin, Sr. was born on June 1, 1930 in Darlington County. He was the beloved son of the late Sam Bell and Mary Benjamin Coleman. He received his education in the public schools in the area. He began his logging company, Benjamin Logging and served his community faithfully and with great dedication until retiring. “Roy” as he was affectionately known was a longtime member of Bethesda Baptist Church. Those left to cherish his memories are five children, Earlene (Johnny) Hunter, Geraldine Hunter, Robert L. Benjamin, Leroy Benjamin, Jr. and Thomas (Kristie) Benjamin, Sr.; Four siblings, Maggie C. Moore, Maudie Zimmerman, Mary C. Smith and Margaret Coleman (Larry) Crosby; Ten grandchildren, thirty-three great grandchildren and many, many great great grandchildren; A host of brothers-in-law, sisters-in-law, nieces, nephews and other close relatives and friends.